It is possible to extend Unity’s rendering pipeline with so called “command buffers”. A command buffer holds list of rendering commands (“set render target, draw mesh, …”), and can be set to execute at various points during camera rendering. For example, you could render some additional objects into deferred shading G-buffer after all regular objects are done. A high-level overview of how cameras render scene in Unity is shown below. At each point marked with a green dot, you can add command buffers to execute your commands. See CommandBuffer scripting class and CameraEvent enum for more details. Command buffers can also be used as a replacement for, or in conjunction with image effects. Sample project demonstrating some of the techniques possible with command buffers: RenderingCommandBuffers.zip. This scene shows a “blurry refraction” technique. 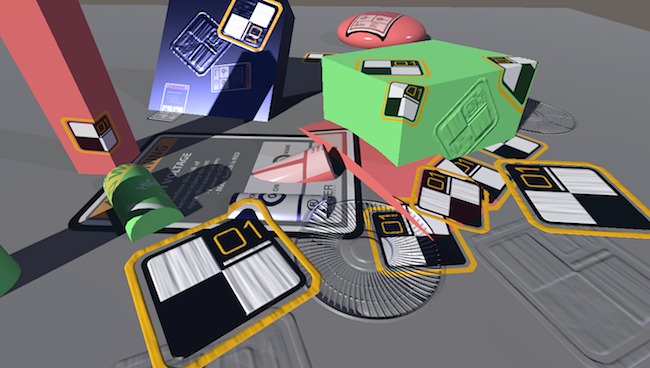 After opaque objects and skybox is rendered, current image is copied into a temporary render target, blurred and set up a global shader property. Shader on the glass object then samples that blurred image, with UV coordinates offset based on a normal map to simulate refraction. 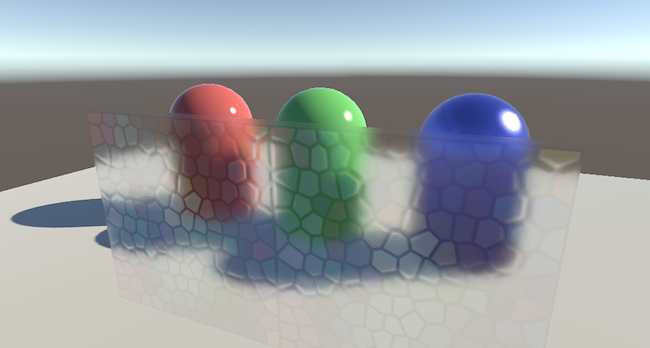 This is similar to what shader GrabPass does does, except you can do more custom things (in this case, blurring). 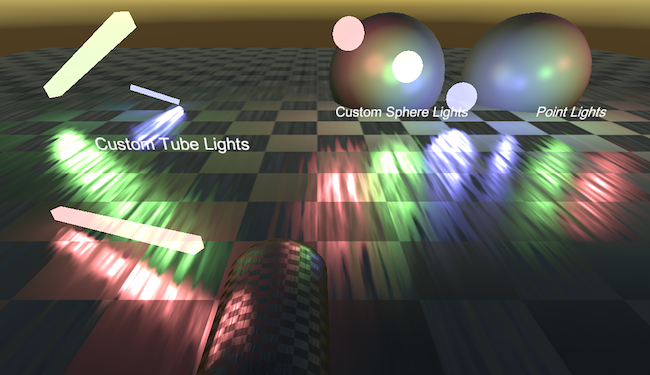 This scene shows an implementation of “custom deferred lights”: sphere-shaped lights, and tube-shaped lights. 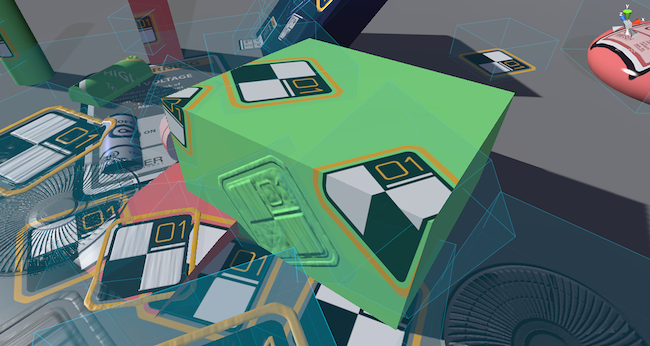 This scene shows a basic implementation of “deferred decals”.